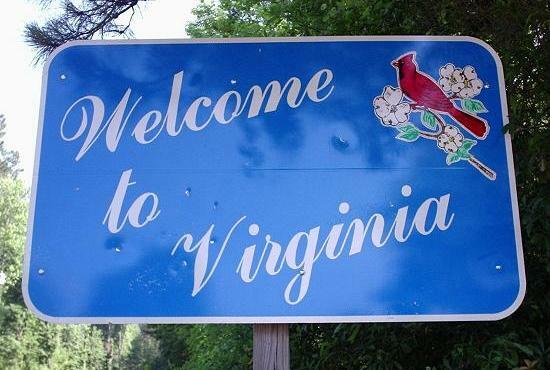 Virginia is a state in the southern United States, with a coast on the Atlantic Ocean. The state is named after Queen Elizabeth I of England who was known known as the "Virgin Queen" because she never took a husband. The Virginia coast was explored by Sir Walter Raleigh in 1584, and Virginia became the site of the first permanent English settlement established in the New World. At one time, the colony even included Bermuda (once known as "Virgineola"). Virginia was one of the original thirteen colonies which revolted against Britain during the American Revolution (1775 to 1783), and has played an important part in the history of the United States. The state is sometimes known as the "Mother of Presidents", having produced more Presidents than any other state: George Washington, Thomas Jefferson, James Madison, James Monroe, William Henry Harrison, John Tyler, Zachary Taylor and Woodrow Wilson. The capital of Virginia is Richmond (which was also the capital of the Confederate States of America during the American Civil War of 1861 to 1865), and the state's largest city is Virginia Beach. Other important cities in Virginia include Alexandria, Bedford, Bristol, Buena Vista, Charlottesville, Chesapeake, Colonial Heights, Covington, Danville, Emporia, Fairfax, Falls Church, Franklin, Fredericksburg, Galax, Hampton, Harrisonburg, Hopewell, Lexington, Lynchburg, Manassas, Manassas Park, Martinsville, Newport News, Norfolk, Norton, Petersburg, Poquoson, Portsmouth, Radford, Roanoke, Salem, Staunton, Suffolk, Waynesboro, Williamsburg and Winchester. Additionally, being so close to Washington D.C., Virginia is home to much of the "over spill of the national capital: Over a dozen government agencies (including the Central Intelligence Agency, the Department of Defense, the Immigration & Naturalization Service, the National Science Foundation, the U.S. Drug Enforcement Administration, the U.S. Fish & Wildlife service and the U.S. Trade & Development Agency), are headquartered in the state - many of them being located in Arlington or Rosslyn. Sports teams in Virginia include the Lynchburg Hillcats (Carolina League baseball) in Lynchburg, the Norfolk Admirals (ice hockey in the AHL) in Norfolk, the Norfolk Tides (International League baseball) in Norfolk, the Potomac Nationals (Carolina League baseball) in Woodbridge, the Richmond Braves (International League baseball) in Richmond, and Salem Avalanche (Carolina League baseball) in Salem. Some of the major companies headquartered in Virginia are AOL (in Dulles), Dominion Resources (in Richmond), Freddie Mac (in McLean), General Dynamics (in Falls Church), MeadWestvaco (in Richmond) and Sprint Nextel (in Reston). Airports serving Virginia include Ronald Reagan Washington National Airport in Arlington, and Washington Dulles International Airport in Chantilly. Places of interest in Virginia. Books containing travel information about Virginia. Details of skiing in Virginia. Towns and cities in Virginia.